Instaforex offers a full education course on binary options gives a free demo credit before you make a real deposit account. 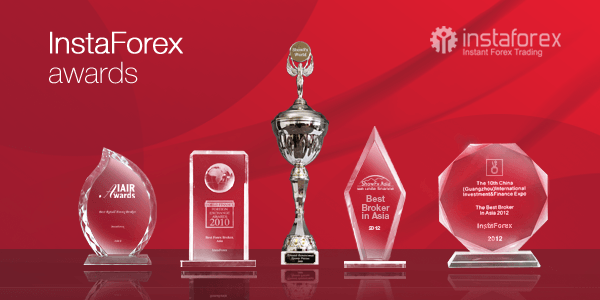 Established in 2007, Instaforex is a pioneering broker renowned for offering quality and superb trading conditions for over 2,000,000 traders in the world. Apart from providing excellent opportunities for trading in the forex market, the broker also gives its clients access to the lucrative binary options market. The Instaforex broker has maintained its lead in the financial industry mainly because of commitment to meeting the needs of traders and adoption of innovative trading technologies. Let us review some key features of Instaforex broker that make it stand out in the industry. Opening a trading account with Instaforex is simple and fast. Within a few minutes, we were able to open Instaforex demo account to familiarize ourselves with the offerings of the broker. Afterwards, we sent some identity documents and easily started live trading. Instaforex provides a wide range of popular and secure payment options, including Webmoney, PayPal, e-Gold, Skrill, wire transfer, and Liberty Reserve. You can make a minimum deposit of as low as $1 in U.S. dollars, Euro, or Russian rubles. The broker has an exciting bonus program every time you make a deposit to your trading account. The deposit bonus starts from 30% and can be as high as 250%. Interestingly, you can also access the “no deposit bonus” and start trading options without making an initial deposit. Importantly, the broker keeps clients’ funds in segregated accounts to ensure their capital is safeguarded from risks. 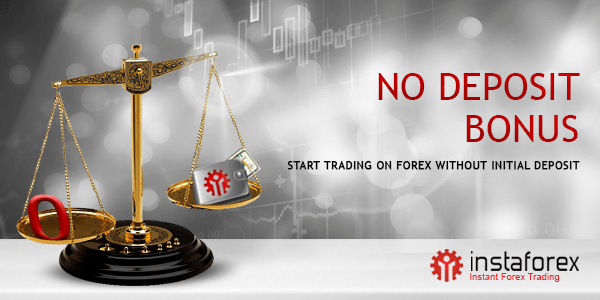 So, you can be sure of the safety of your money when making deposits with Instaforex. The broker also offers a seamless withdrawal process to enable clients have an enjoyable trading experience. Instaforex offers various types of trading platforms to suit the varying needs of traders. You can choose to use the mobile platform, the web-based platform, MT4 platform, or MT5 platform. It is also worth mentioning that Instaforex is one of the first brokers in the world to introduce MT5 live trading accounts. 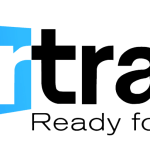 The trading platform has a wide variety of technical tools and other helpful strategies to assist you make profitable trading decisions. During our Instaforex broker review, we found out that it has a wide selection of 72 trading instruments, consisting of 21 currency pairs, gold and silver, and CFDs on 49 shares. 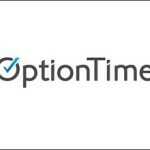 You will be able to trade both intraday options (validity period from 60 seconds to 24 hours) and expiry options (validity period of up to 14 days). Broker allows you to get high margin of trading profits, of up to 1.8. Furthermore, you will also benefit from the possibility of activating an option within 14 days from its purchase, the possibility of purchasing an option one minute before its activation, and the possibility of cancelling an option three minutes before its activation. 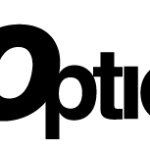 What more could forex options traders ask for? Broker has designed different types of accounts to ensure clients have access to the best trading conditions that resonate well with their backgrounds, preferences and styles of trading. 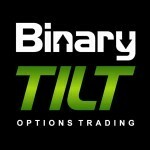 Regardless of the type of account you choose, you will get top conditions for profiting from binary options trading. You can also enroll in the broker’s innovative PAMM accounts service and benefit from collective investments. Additionally, you can also tailor your trading account to copy the strategies of other traders and make the most of your binary options trading. Our Instaforex review has revealed that the broker is a very reputable broker that operates under transparent conditions. The broker is headquartered in Kaliningrad, Russia, with more than 260 representative offices around the globe. Instaforex is the trading name of InstaTrade Investment, a company licensed by the Federal Financial Markets Service (FFMS). This license indicates a high-level position of the broker and its ability to protect traders’ interests and funds. Therefore, Instaforex is not a scam broker. Customer service is simply top-notch. We noticed that the broker has a dedicated multilingual customer support staff available 24/7 to handle various issues raised by clients via live chat, phone, email, or other methods. The broker has an extensive range of education materials and other motivation programs to assist clients curve a successful trading career. Examples include training videos, Instaforex TV, and trading competitions. Our Instaforex review has revealed that the broker is committed to providing high quality and unmatched conditions for trading binary options. So, if you are looking for a broker that offers exciting opportunities for hassle-free trading in the binary options market, along with on-time technical and customer support, then broker could be worth trying out. I have traded in a micro account with InstaForex for five years. So I strongly say that InstaForex is the fast and stable platform I have found in the market. Their spread and trading condition is fair to me and they have a hassle-free payment system too. In their MT4 platform, I have found much futures too, such as helpful analytical indicators, automatic trading EA. Overall I didn't get any big slippage and I can trade on my desire position with the fixed spread. So I am pleased with this company so far. 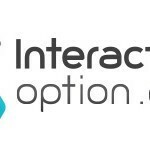 2 years of trading binary options I have not been able to get a good results, but when my friend introduced me to Instaforex I had to think carefully before investing on this platform due to the bad experience I had in the past. As far as the minimum deposit is $1, I invested $50 just to test the platform. So far, trading options have been so great on this platform no delay or platform freezing at all. I can set SL, TP, buy limit and sell limit, I always copy deals from the successful traders and the result is very profitable. I wish I had known this broker for long, now I can invest big on this platform. I am really grateful to InstaForex after receiving $500 start-up bonus. Now I am trading with them by the mobile trader platform and my experience is positive, as my orders executed instantly and I can set SL, TP, buy limit and sell limit. Besides they give me an opportunity to start forex trading without any risk in the market and also they give me many educational articles and video lessons on their website and youtube channel. I am happy after profited some money, so I will be deposit 50 dollars as the terms of start-up bonus. Then I can withdrawal my profits. So I hope to continue this business with InstaForex. I am new to Forex trading, I opened an account with InstaForex 3 months ago, November 2017. I deposited $100, and I registered my account for the pamm system, since I don't know how to trade, I will say my $100 have increased to $260 over the months, and I just withdrew $120 out of my account, and asked the pamm trader to continue trading. Through Instaforex I have realized forex trading is a very good business, especially on instaforex platform. My documents were accepted in less than an hour. The reason I sent my documents is that they require me to do so as I requested to withdraw some of my earnings from Forex Copy for a total amount of $365.41 through Megatransfer. Am pretty sure, the money would be credited to my purse anytime soon. You might be asking me if I am not afraid to invest with them. Well, the answer is No. I really trust this broker, plus I've been with them since 2013. Til now, nothing happens to my Insta.Eurica account. Yeah, I always copy deals from the successful traders and the result is very profitable, where I was given an opportunity to follow several traders. About the article written above, their regulation issues doesn't concern me at all as long as I earned and received my profits from this company. I was a newbie in this market when I started to get interested in it to make some money. I knew about InstaForex due to several ads I saw in some websites. Just to try it, I opened a demo account and following all the recommendations I saw in its website, I traded for 6 months. Of course, since the beginning, I received the call of one of its managers, who was very nice and polite with me and explained every detail about the services of this broker. I learnt a lot during this period of time and even I received a non deposit bonus of $80 just to verify my account with 2 verification levels. After practicing, I decided to use that bonus to trade and in my first 2 weeks, I got $45 for my positions in EURUSD. Even I could withdraw $20 with Skrill without any problem in just a few hours. After that, I kept on trading and gaining more and more money. In my first year of trading, I got to accumulate $2,000. That's why my experience with InstaForex has been amazing since then. I am a newbie in forex and made a demo account with InstaForex and traded around 2 months. After getting basic knowledge from them, one of my friend suggest me to start live trading with no deposit bonus. So I have opened a live account and applied for no deposit bonus, surprisingly after verification I got $ 50 as no deposit bonus. Within 25 days I made profit $26 trading with bonus. Even I already withdraw $20 from my profit through Skrill. It was takes 2 days to got money. Initially I was quite impressed with their execution, spreads, and their platform is very convenient. Last month I opened a live account with them My first deposit was $230 and I was pleased to get a 55% bonus on my deposit. I think the this broker is good. I don't have bad experience with this broker. Insta fills orders smoothly. I've been copying trades from other professional traders for 4 months now. Almost 70 percent of my trades are successful. I pay commissions but only minimal. I am still a new trader and I have learned about forex trading from the InstaForex website and youtube.At Beginning I tried a demo account, Now I have been trading an InstaForex mini account.with 1:200 leverage since 4 months. I can’t find any negative issue even as a new trader I choose their ForexCopy system. I like their fast execution on platforms, low spread too. First I was hesitant to invest 100$ but few day later the system are very useful for me to earn money. Because I could copy a trade from any expert Forexcopy trader. although I didn't withdraw my profit yet due to increasing my capital. Because I am also interested their PAMM system and I will be invested my money as an pamm investor. 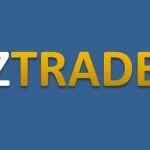 Where a professional trader doing trade for me. I say these unique systems are profitable for me and that is signed by a professional broker. Overall, I’m satisfied with Instaforex service and hoped I will be trading a long time.